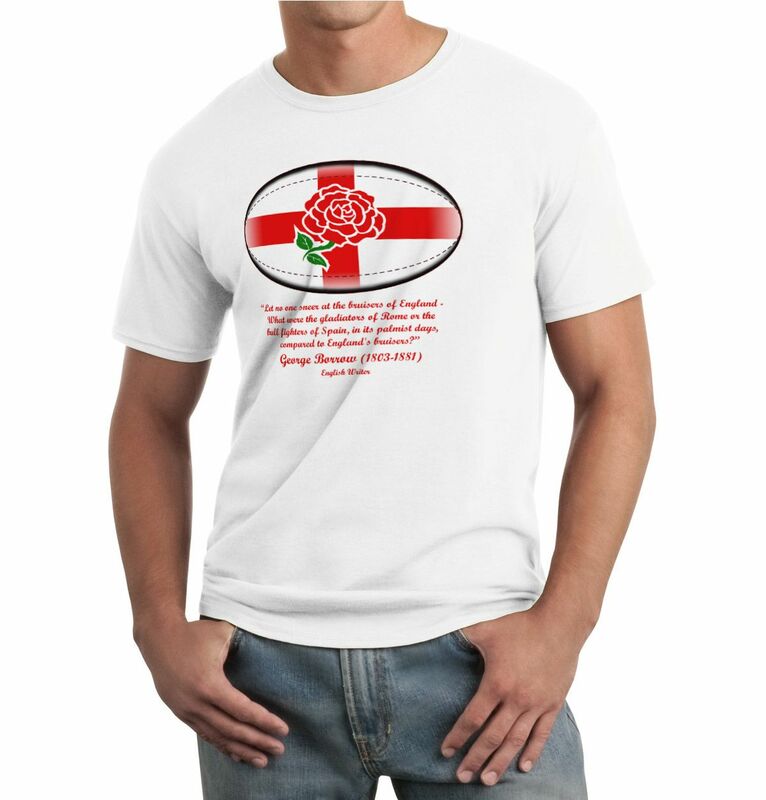 100% cotton England Rugby T-shirt with rugby ball, flag and rose of England logo on the front along with "The Bruisers of England " quotation. 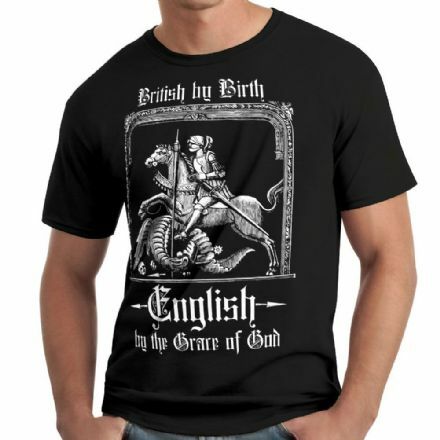 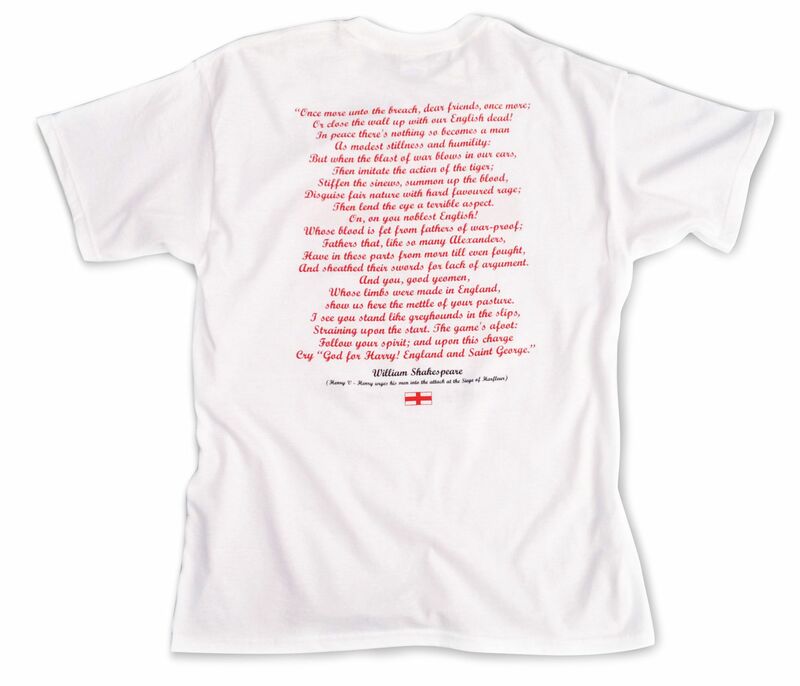 On the back is the full "On, on, you noblest English" quotation by Shakespeare along with a small St George Cross. 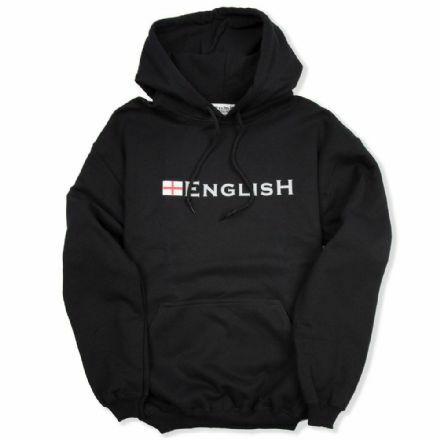 On, on you noblest English! 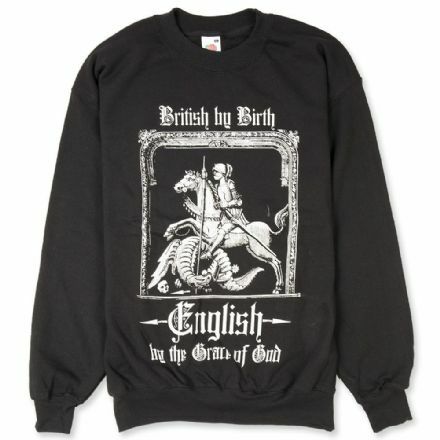 Whose limbs were made in England, show us here the mettle of your pasture. 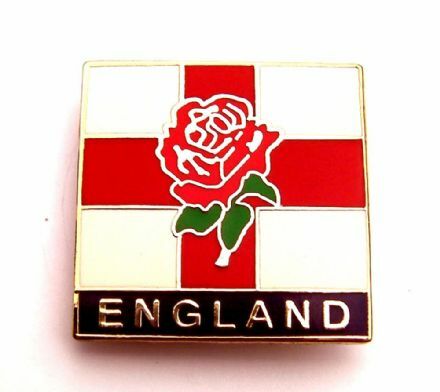 Cry "God for Harry! 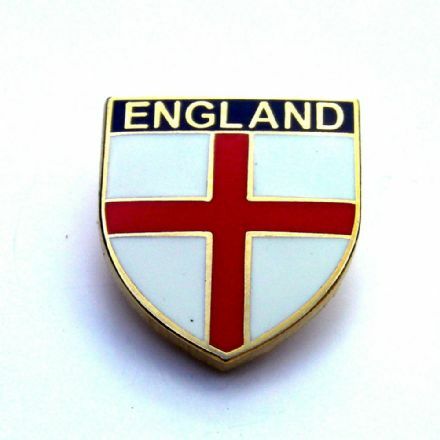 England and Saint George".